Alia Bhatt is riding high on the promotions of her upcoming multi-starrer big banner film Kalank. The movie also stars Varun Dhawan, Sonakshi Sinha, Aditya Roy Kapur, Madhuri Dixit, and Sanjay Dutt in lead roles. Based on the love story of a pre-independent India, Kalank revolves around the complexity of its characters. In the film, Alia plays the part of Roop. It was earlier revealed that Alia switched to classics like Umrao Jaan and Mughal-E-Azam to prepare for her role. 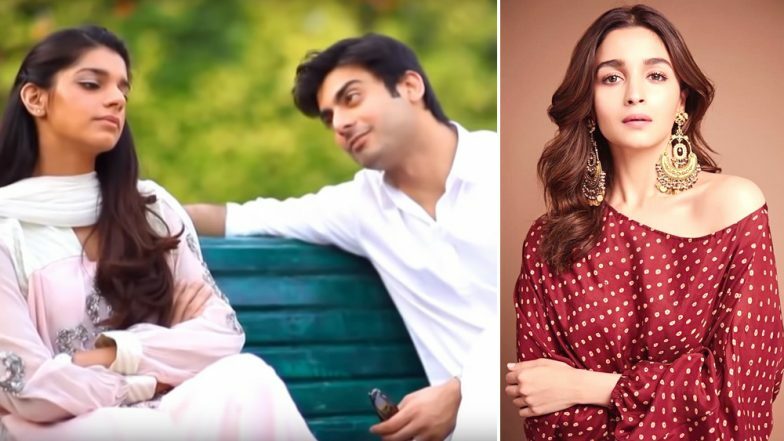 In a recent interview, the actor revealed that she drew inspiration from the Fawad Khan and Sanam Saeed starrer Pakistani drama Zindagi Gulzar Hai. World of Kalank Video: Varun Dhawan-Alia Bhatt's Film Should Be Watched in Theatres for The Efforts Put By the Crew if Nothing Else! "She has responsibility on her shoulders so she is not always a happy person. She is vulnerable yet strong. It is difficult (to bring so many) layers - unhappy, vulnerable and strong to a character. Abhishek kept saying that I should not be irritating," Alia Bhatt was further cited as saying. Alia had earlier shared the screen space with Zindagi Gulzar Hai star Fawad Khan in Kapoor and Sons. Kalank: We Missed the Opportunity to Witness Madhuri Dixit and Alia Bhatt's Dance-off, Here's What the Actor Has to Say. Set in the 1940s, Kalank is a pre-partition love story. Helmed by Abhishek Verman, the movie will hit the theatres on April 17.